Tesla might be known primarily for its electric vehicles, but it’s quickly becoming a force to be reckoned with in the energy management sector, too. The company’s ongoing need to develop batteries for electric cars has indirectly made it a pioneer in power storage, and renewable energy in particular. And the Tesla Powerwall 2 is a perfect example of that. Designed to store energy in times of low demand and release it in times of peak demand, the Tesla’s Powerwall 2 is designed to save you money, and ease pressure off the National Grid. Simply put, the Tesla’s home battery is like a spare energy tank that can work together with your EV and your home – but there’s another way of making yourself even less reliant on the grid: solar panels. Tesla Solar Roof represents the third prong of Elon Musk’s renewable energy strategy, and if you’ve got a home battery and an EV, it could save you money on travel as well. So what is Tesla Solar Roof, how much does it cost in the UK and how does it work? Keep reading to find out. Tesla first acquired the Solar Roof company in 2016, and since then we’ve been waiting to see when it’ll come to the UK. Installations at the homes of US-based Tesla executives began last year, but since production began in earnest at the company’s Buffalo-based factory, other private installations have taken place. As for the UK? Elon Musk stated that the Tesla Solar Roof system will be available to UK customers in 2018 – so it should be here in a few months. In the meantime, you can reserve Solar Roof system over on Tesla’s UK website, though it will cost you £800. Aside from the £800 deposit, it’s hard to say just how much the Tesla Solar Roof system will cost, and that’s because it depends on where you’re installing it and how big your roof is. 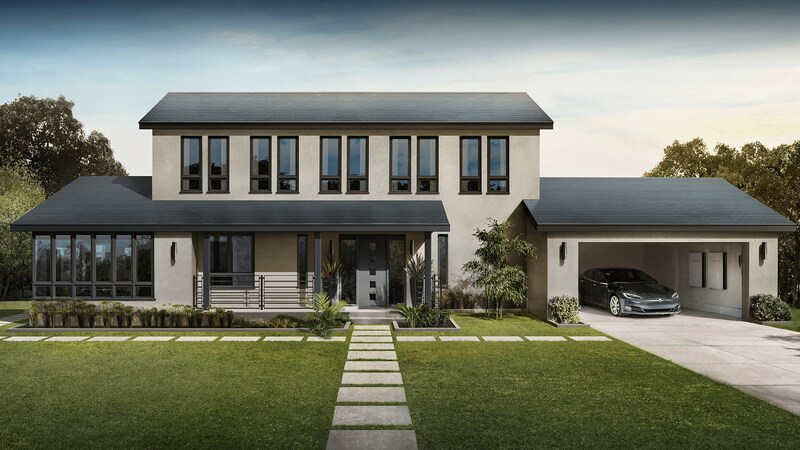 According to US customers who’ve already had the roof installed, Tesla surveys the area and works out the best configuration to suit your needs. What’s more, there’s also the option of installing one or two Powerwall 2 units while they’re there, and they start at £5400. Either way, Elon Musk says that an infinity warranty – which outlasts the 20-year guarantee of most conventional US roofs – and the energy saved, makes the Solar Roof competitive from a price point of view in the long run. Tesla Solar Roof: how does it work? 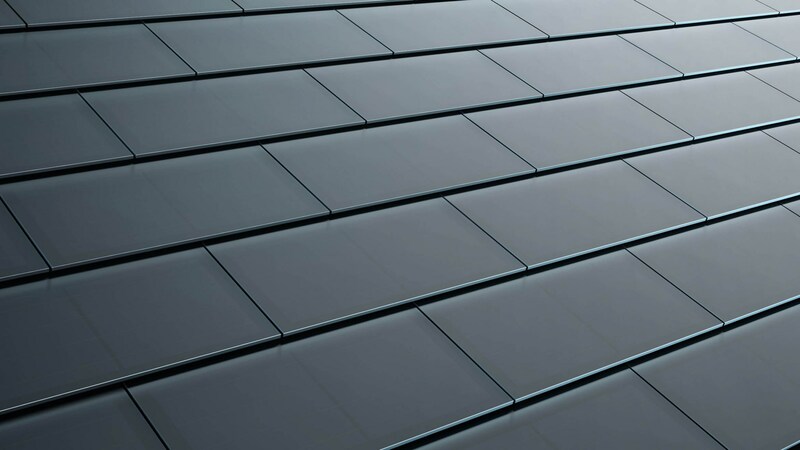 The Tesla Solar Roof works much like a conventional solar panel roof, and converts sunlight into energy using photovoltaic tiles. However, just like the Nissan Energy Solar system, the Tesla Solar Roof is designed to slot into your existing Tesla energy management set-up. And it’s likely you’ll be able to use it with a non-Tesla home battery, too. 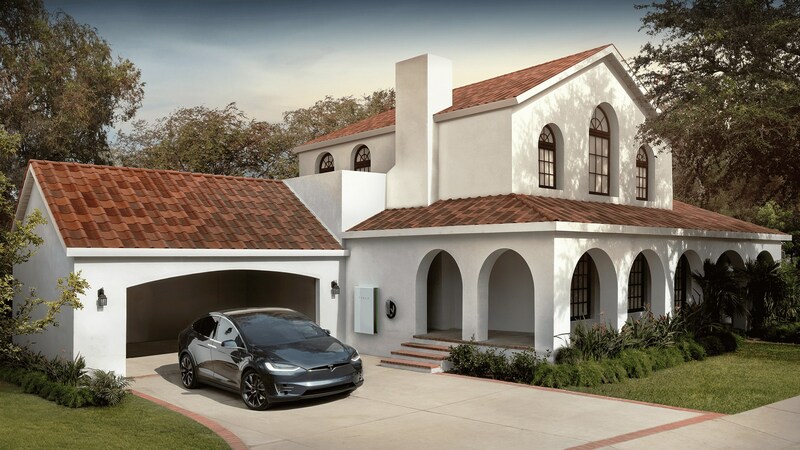 Unlike the Nissan Energy Solar system, which resembles conventional solar panels, Tesla Solar Roof is incognito and is designed to look like conventional tiles - from most views, it looks like a conventional roof. Tesla has achieved this by creating solar roof tiles rather than panels, and then creating identical-looking non-solar ones. The result? The solar tiles blend in with the conventional ones, and your roof looks the same as everyone else's. 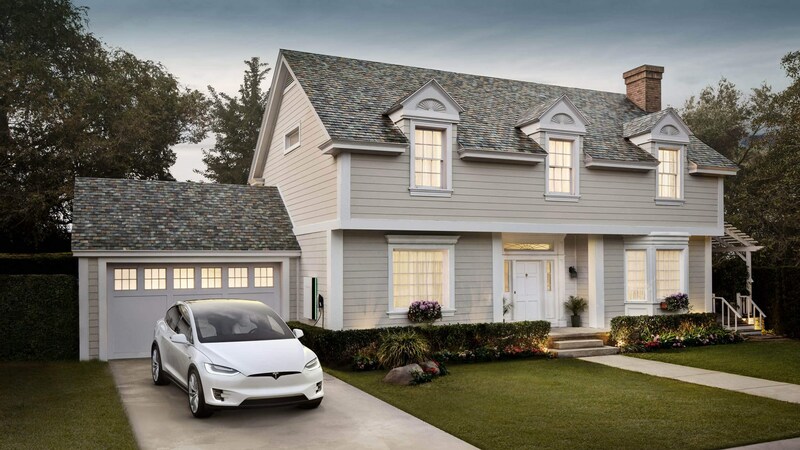 Tesla’s Solar Roof also comes in four separate finishes: tuscan, smooth, texture or slate (seen in the pictures above) so it should fit in with your existing decor. We’ll update this article when we know more about Tesla Solar Roof prices, specs and details.